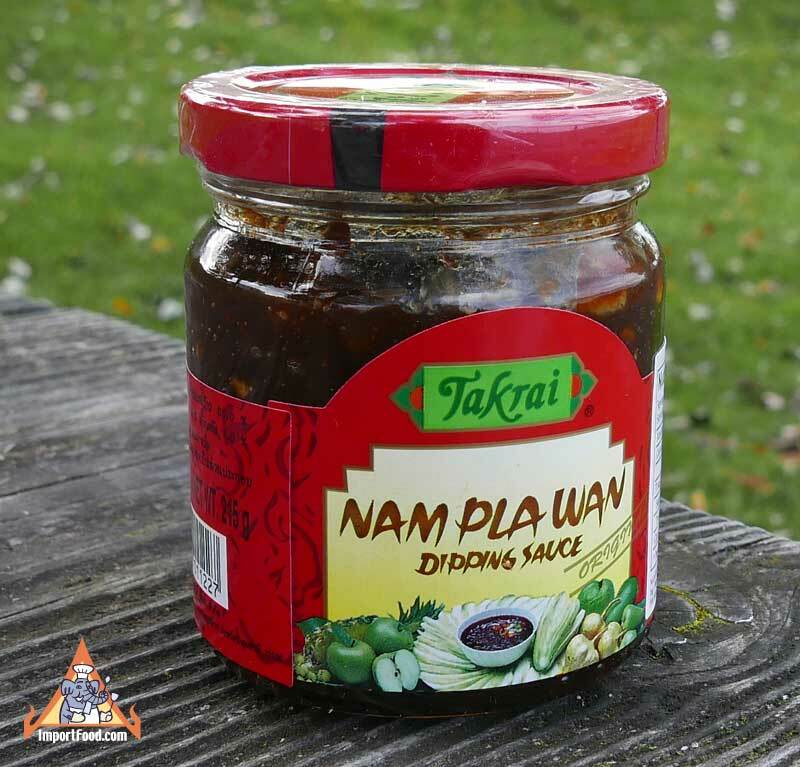 We had sold out of Nampla Wan some months ago, after a popular Thai television soap opera's main character traveled back in time 200 years and introduced Nampla Wan sauce to a group of Thai people who had never tasted it before (see show photos below). The entire show focused on how much they loved eating it with green mango. 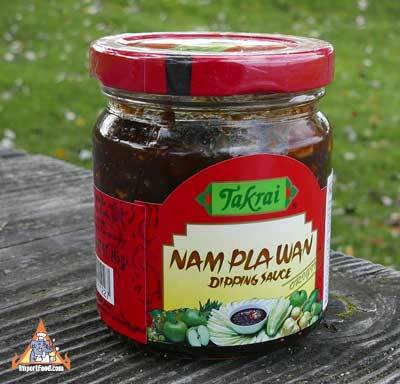 So this new Nampla Wan just arrived from Thailand, brand new stock. Ingredients: palm sugar, shallots, fish sauce, dried shrimp, chile.